I don't know you, but before, I used about a million products: shampoo, conditioner, mask, oils, volumizing mousse, texturizing spray, etc... At the end, my hair was so weighted down. 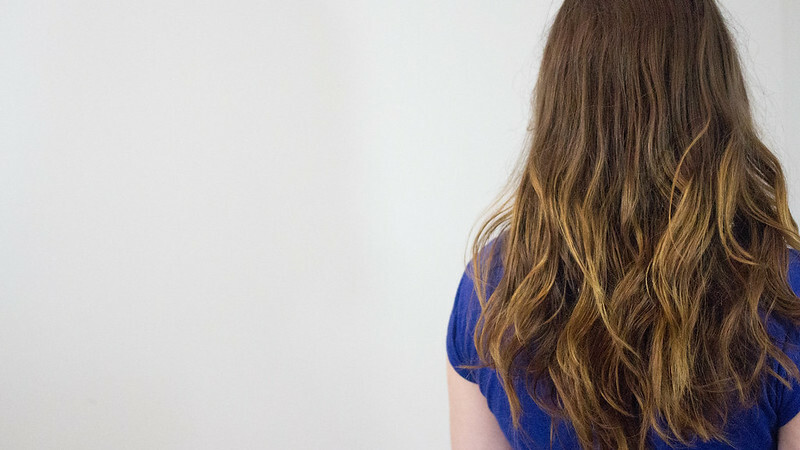 Now, I try to stick to a very simple hair care routine. 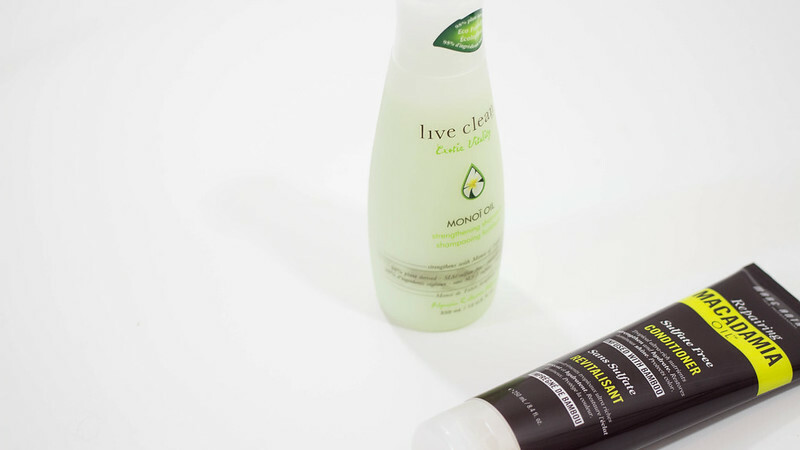 I use a SLS/sulfate, phtalate and paraben free shampoo from Live Clean. I love this brand and I use their shampoo for years now. Right now I'm using the Strengthening Shampoo with Monoi oil, I don't know about the strengthening effect, but it cleans my hair very well without drying it and it smells very good. Then I use a conditioner to rehydrate the hair. Right now I'm using the Marc Anthony Sulfate Free Macadamia Oil Conditioner. I discovered this brand not a long time ago, but I love their products. 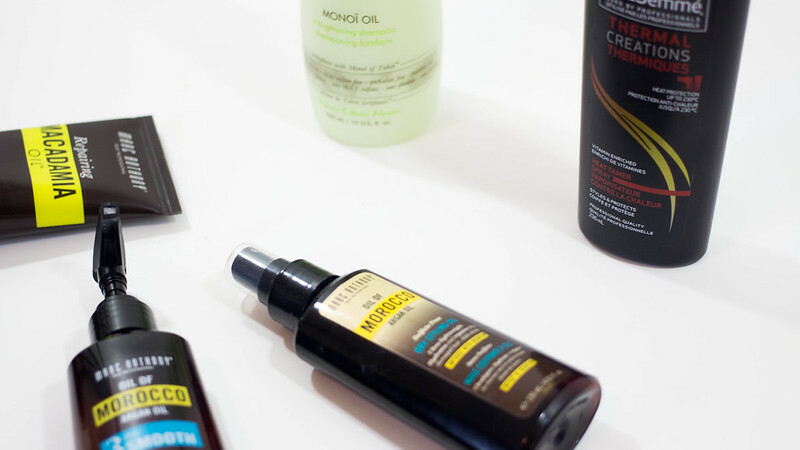 I don't use a mask, but I like to apply an oil on the lengths in the evening, a few hours before taking a shower and my hair is so soft afterward. 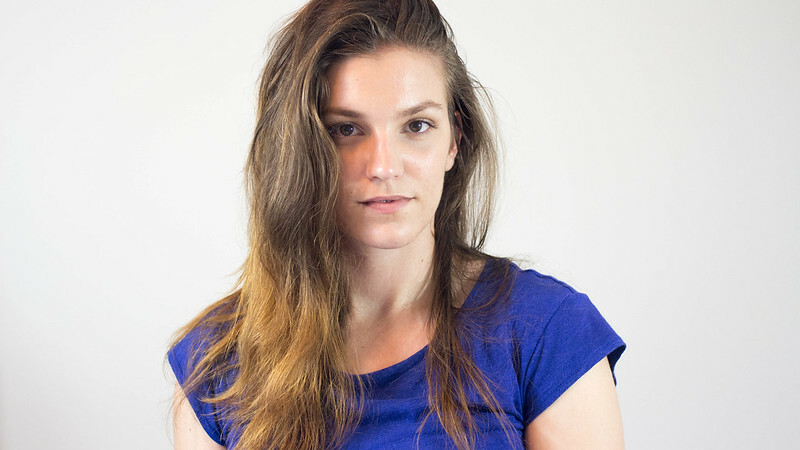 My hair tends to become greasy very quickly at the roots (sometimes I have to wash it every other day), so I was afraid to use hydrating products. But I thought about it, and now I think it's better to hydrate your hair and your scalp so it won't overproduce oil to protect itself from environmental aggressions. This is just my theory, but since I started to use hydrating products, my scalp became normal and now I can wash my hair every three days (sometimes four if I don't see anyone). 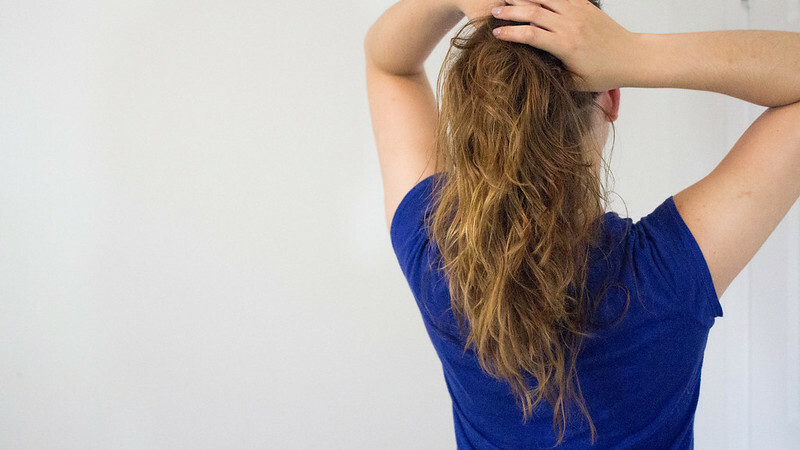 After I wash my hair, I always apply a hydrating and smoothing cream, because here in Quebec we have a lot of humidity (especially this summer). I discovered this Perfect Blow Dry Smoothing Cream from Marc Anthony a few weeks ago and it's a real game changer! My hair is so much less frizzy now and so much softer! Then every morning and night, I use an oil on my lengths. 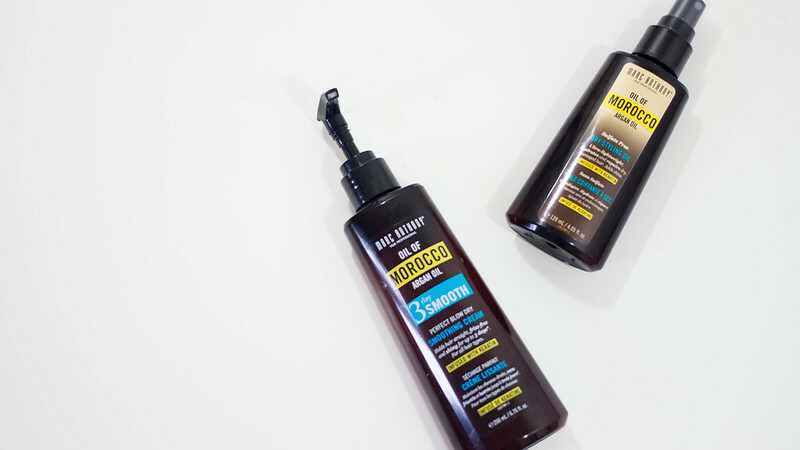 Right now I use the Marc Anthony Sulfate Free Dry Styling Oil ( I swear this post is not sponsored by Marc Anthony, I just discovered this brand and do far so long I love it). This oil is not greasy at all and it leaves my hair sooooo shiny and soft. When I was a teenager, I didn't see the point of protecting my hair from heat... and I was also using a straightener almost every day... I know I was an idiot. But today, I am literally unable to dry my hair without using a thermal protector spray. And once my hair is dried, I spray it again before using my curling iron (maybe it's too much? I don't know...). 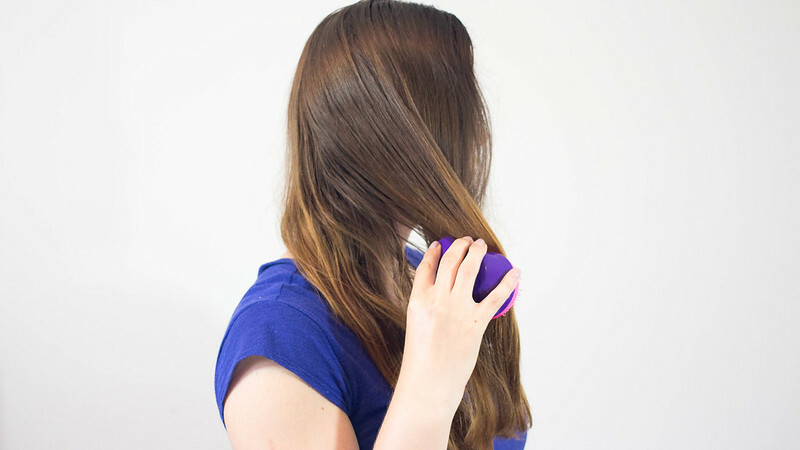 It makes such a big difference, my hair is much less damaged than it was when I wasn't using a heat-protector. 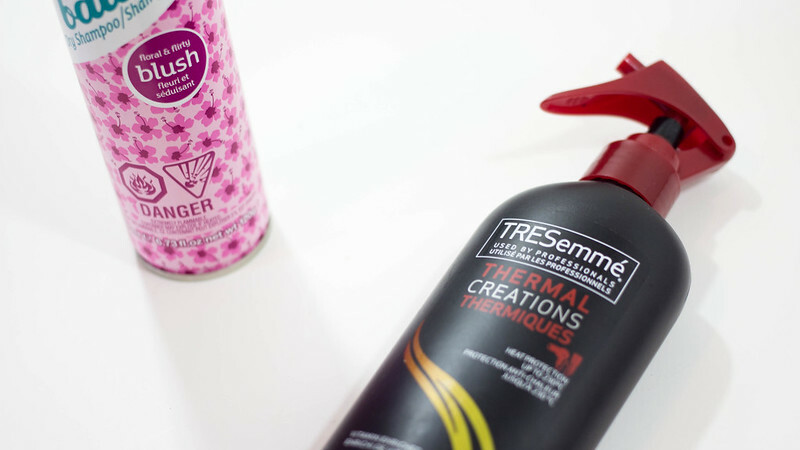 The one I use for several years now is the TRESemmé Thermal Creations Heat Tamer Spray. As I said earlier, before, I had to wash my hair every other day. 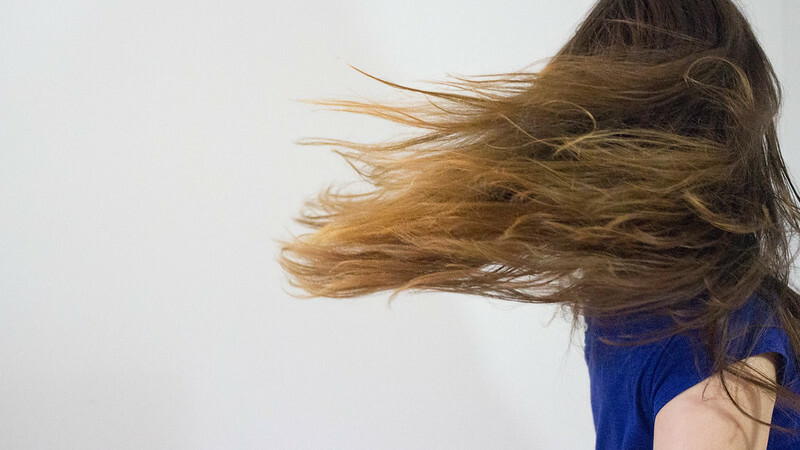 Unfortunately, washing your hair too often is very bad and breaks your ends much faster than normal. So now, I use a dry shampoo. The concept is very weird, you apply a powder on your roots and it will absorb the sebum... weird I know, but it works! 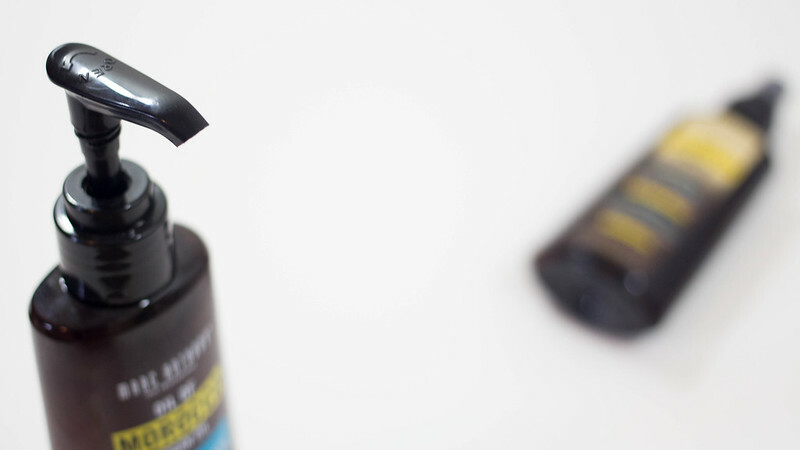 Most dry shampoo I tried leave a white residue on the scalp, but not this one from Batiste. 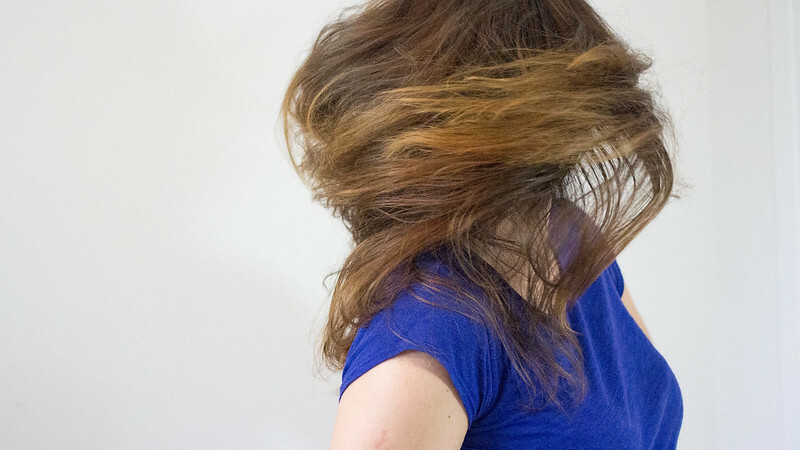 I wrote an entire post about this dry shampoo if you want to know more about it. Also, another tip to keep you ends nice and healthy is to only wash your scalp. Your ends are rarely dirty so they don't need to be washed and the foam will dry them. 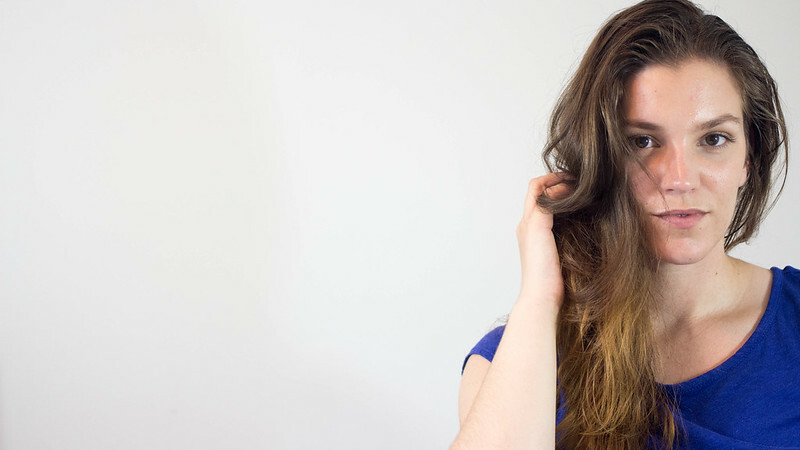 Your hair is made from fibers that are extensible when they are dry, but much less when they are wet. Take a shirt, and wet it, you'll find that it's almost impossible to stretch it, but if it's dry you can do it very easily. Well, it's the same concept with your hair, if your brush it when it's still wet, it will break very easily. 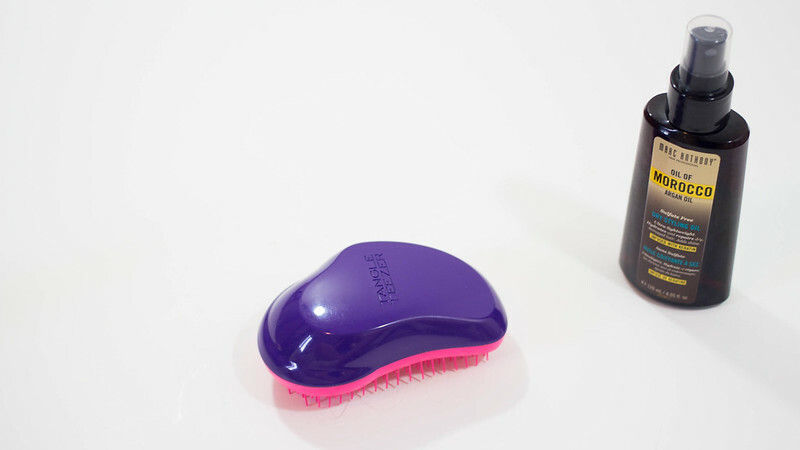 I recently purchased a Tangle Teezer wich is a brush specially designed to brush wet hair and it's so good! A real life (and hair) savior! So that's it for my tips, I hope it will help you. Thank you to you who stayed until the end I really appreciate! 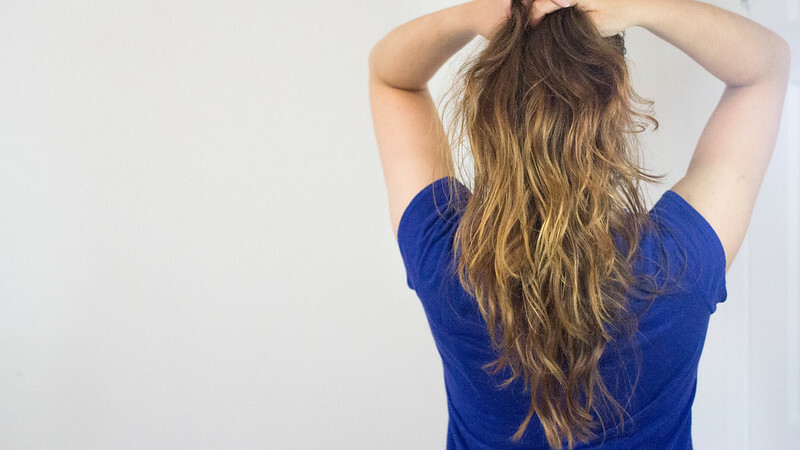 And you, what are your tips for healthy hair?